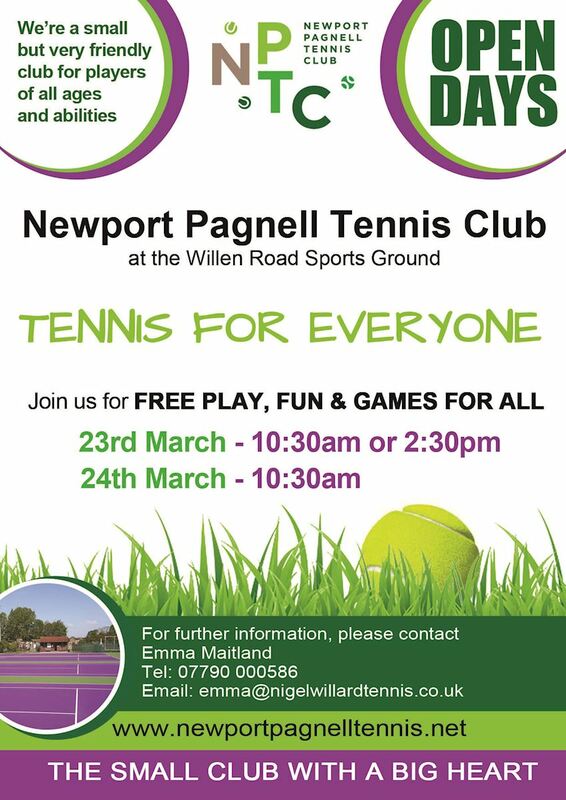 Newport Pagnell Tennis Club / Open Day! We have a couple of free open days coming up with free tennis for everyone. Please join us for free play, fun and games for all. Fingers crossed for good weather as we're really looking forward to this fabulous weekend.